You guys know me, I am not the sort who writes Year End Reflections or New Year Resolutions; though I think my previous post could probably be my New Year Resolution for 2017, but I have been reading a handful of fellow mum bloggers on their Year End Reflections posts so I thought "Why not? 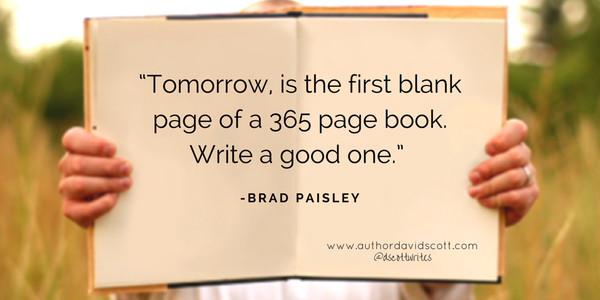 ", and here I am, on the last day of the year, trying to pen down if the year has been good. This first half of the year was a rough one for the family due to DinoPapa's health which caused more frictions and arguments than before. There are only 3 of us in the family but we are 3 hot headed ones and not one that will back down easily. Well, people learn through time and mistakes and frankly how long can one stay angry and bitter? I know I can't, those difficult months just made me become more tolerant and patient with both DinoPapa and DinoBoy. For a person who is direct and quick temper, I will never thought of holding back my tongue and look the other way instead of nitpicking and flaring temper. I am so glad to say that we managed to iron out the differences and compromised with some issues so there are lesser negative vibes in the house. I am pretty pleased that I still managed to cook dinner for the family, it probably does not save us much more but food is definitely healthier and tastier. And you know what? DinoPapa started to teach DinoBoy culinary skill earlier this year and involved him during the cooking. This boy is a fast learner and is already a junior homechef already! Look at his proud and happy look! As DinoPapa's health improves and he was able to cooked on most days where I come home to hot healthy dinner and loving family. What a blessing for me! 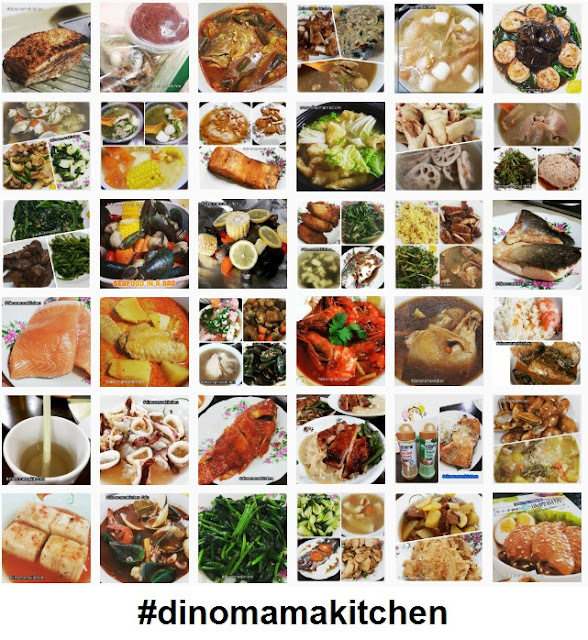 Here's a glimpse of my instagram photo of our meals under hastag #dinomamakitchen. Follow us on instagram @din0mama if you haven't done so to salivate on our delicious home cooked meals. Going into hiatus and hiding for almost 3 years means cutting myself off with many friends, I felt sad to have lose some friends but I didn't want to pick up from where we left off because I was not really nice to some of them at that time and I think they would not feel great to accept me back again. I was however blessed to have a handful of friends who understood my situation and stuck by me. They gave me time to grief and embraced me when I took baby steps out from my hiding. I am glad that I managed to find time to be with them or include them in my life MORE this year. I am determined to keep these friends safely tucked in my pocket, never to let them go ever. This year DinoBoy is in Primary 4, a crucial year as it will determine if he will be going to be in a better class next year. On top of that, PSLE is in 2 years time which is another part of important education milestone for him. Even though his academic performance has always been good, I was worried (which parent wont't?) that he will be too confident and slipped up, that will be "too costly" and "too risky" for us. Therefore I decided to be more involved with his school work, for a mum who is pretty laid back on academic performance I suddenly find myself busy as a bee. I was also dishing out manageable assignments from assessment books almost daily (almost because some days DinoBoy has supplementary lessons or CCA and will reach home later than usual) and DinoBoy did them with minimum complaint. I actually shouted HOORAY! every time when DinoBoy finished 1 assessment book because for the past years we can never finish 3/4 of a book as we were not disciplined enough to tackle them diligently. On top of that I did something that I told myself that I will NEVER do it when the boy just started primary school, I emailed the teachers to check on the boy's performance; both academic and socially, I even sent questions to ask them for help when I am stumped. I guess this practice will have to stay for the next 2 years, hope I won't end up sending wasapp or text messages to his teachers, that will be totally insane just by thinking about it! This has been a big part of our life and also a feature in this blog. Sadly, with DinoBoy in primary school we couldn't just take a day off school to go out to play like before. Weekends were spent on swimming lessons and lazing at home as most of the time I feel too tired to leave the house after a tiring week long work in the office. Therefore I make it a point to play till we drop during school term break or holiday. I am happy that this year we still managed to go out and about, experiencing different type of play and having tremendous fun each and every time. We visited Art Science Museum for the first time (I know right!) earlier this year and went for 2 art exhibitions, you can read about them here and here. An eye opening exhibitions even for me! I am not a fan of great height, but we went MegaZip and "flew" down from 75 meters high, down a distance of 450 meters. 100% adrenaline thrill! This year we make more than 1 trip to 2 places; the ticket price and experience to these places are huge difference, one cost minimum SGD50 for a child ticket while the other cost SGD3 per pax. The one that has every parent cringed upon hearing it's name is KIDZANIA! DinoBoy first visited earlier this year with school and subsequently we went back a few more times. It is expensive and cost and arm & leg if you have more kids but it is a great place for kids to experience "working life", at the same time learn to manage their "salary", whether to spend them on activities, save them for future visits or purchase items they want from the Department Store before leaving this magical land. On top of that, you get at least 5 hours of peace and Me Time (even though its constrained in a building) with air con and food. The other place where you get to leave the mainland and be in the wilderness is PULAU UBIN, We visited this island in June 2016 during Pesta Ubin, read about our visit here, had so much fun learning about it's flora and fauna during the Kampung Tour. This December holiday we went back again for the Chek Jawa Walk (I haven't had time to write about it yet), it was totally different from the Kampung Tour. We learn about this small part of wetland and about it's animals and creatures. You think the kids will complain about the sun, the long walk and whine about "it's boring!" then you are wrong! There are so many interesting things to keep them occupied. This year's Pesta Ubin was held over 5 weeks, next year it will be held over longer duration! More time for us to visit Pulau Ubin and take part in all the activities installed for us! Our next destination to visit next year will be Lee Kong Chian Natural History Museum and to more nature walk with various groups. Due to my commitment to the family, things has been going real slow in the blog and it seems that it has brought itself to another different kind of niche. It was supposed to be a parenting blog but that "parenting" took a back seat as I wanted to draw the focus away from DinoBoy. The social media has changed tremendously in recent years, people are quick to judge and spreading things as fast as wild fire. I wanted to protect him from unnecessary attention. Also, I have been writing lesser on school work because it seems that syllabus are constantly changing every couple of years, I thought my post would not be helpful for parents a year or so down the road. I still share snippets of DinoBoy's school work in instagram so you still get an idea of the work, of course I will gladly answer your queries via facebook PM or email. Attending media events becomes near impossible since my time revolves mostly around the family, I am also hosting lesser contests or giveaways this year . With lower than usual production I am so grateful that some of the brands still look to me for collaboration and partnership to review their products or services. One thing that I am proud of the blog is that I am still writing Foodie Fridays posts, a day; which is on Friday thus the name, where I share either a recipe of a dish we prepared or food review of restaurants/eatery places I visited. It was as often as I love too but you are not missing out anything much. These days I will share the dishes we prepared on instagram instead partly because we have been cooking 家常小菜 or simple dishes which are either too simple to justify a blog post or its recipe could be easily found on the web. Not shopping, rather its my online shop - Shop of Curios, selling crochet stuffs handmade by yours truyly. 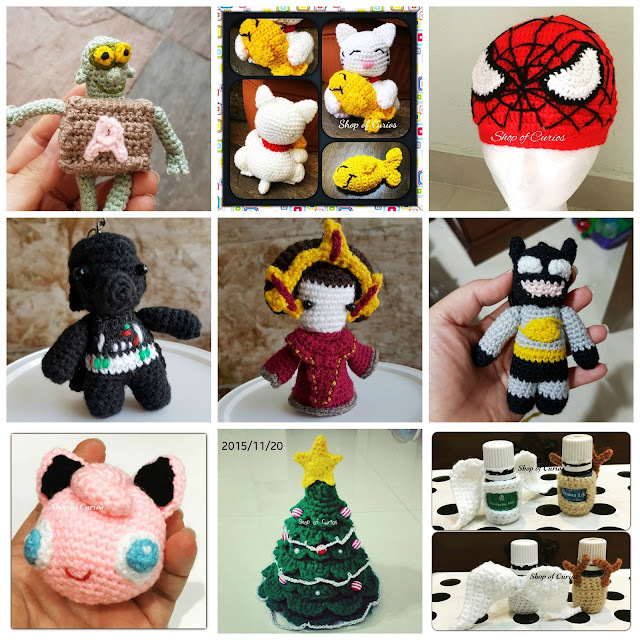 Its been 2 years since I set up this shop and this year it has been very fruitful, I was given opportunities to crochet something that I not normally make like the Christmas tree, Batman & Star Wars key chains and also to challenge myself to create something without any written pattern on hand and mostly based on photos, such as the Maneki Neko. Essential Oil cozy, Boxtroll key chain, Jiggly Puffs key chain and Spiderman beanie. Besides feeling excited that my shop has actually taken off quite well, I am also happy that I was able to strike off an item from my Bucket List. That is to do something to help the needy, you can read about it here. 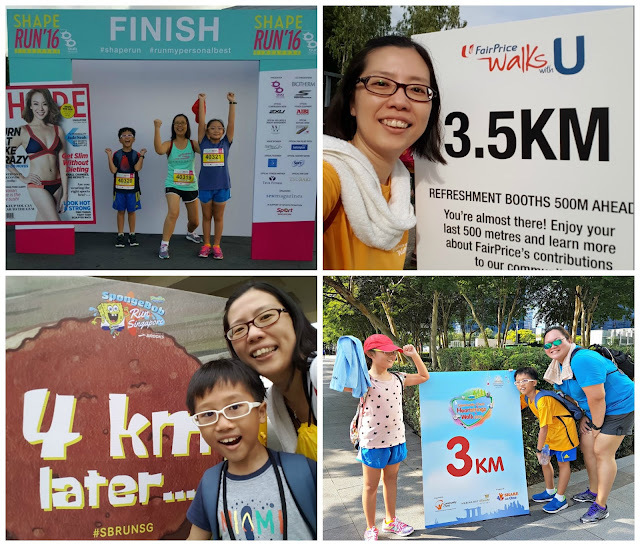 I don't do this New Year Resolution thing, this could be consider as one since I promised the boy at the end of 2015, that is to take part in more family run & walk in 2016. We achieved that and went to NINE of them! This year, we had a few First Time experience that was both exciting and interesting. For me, I was being featured in NTUC Fairprice's Financial Report 2015. DinoBoy had more opportunities to experience something different, first he went into acting. It was a short film 猪灵媒 by Temasek Polytechnic for their year end project or something. They did not make it very clear to me and I did not ask more. The shooting took a whole day but DinoBoy only appeared in the film for few seconds, look out for him at 13:19 and 13:32 in the video. Next he had an opportunity to do a voice over for FRED advertisement, he managed to do it with minimum NGs. Well, 2016 is defintely better than 2015. There are regrets but let's not focus on that, let's give attention to all the great things that happened which I am grateful and thankful for each and every moment. And it is with these thoughts that I will step into the new year. I hope those around me will feel the same and together we will head off to a better year, making happier memories with family and friends.